We all know that superstar Prabhas has already begun shooting for his new film Saaho. The latest we hear is that Prabhas is currently filming for a swanky photo shoot which is on in Hyderabad. As Prabhas is a huge star in India, the makers are not taking any chances and are taking care of every aspect of the star right from his looks to his costumes. 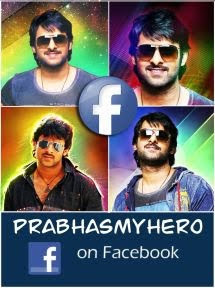 Prabhas will be seen in a completely new look in this film which will also release in Hindi. Saaho is directed by Sujeeth and has Shraddha Kapoor as the female lead.